RD Golf Carts will custom build your cart to your specifications with any of the options below. Don’t see an option you want?… don’t worry, we didn’t list everything we can provide. Give us a call and we can discuss all of the possibilities. Replacement Covers, Custom Seats & Covers. Easily converts your golf cart into a four-passenger cart or flat bed utility vehicle. Lift kits aren’t made for just the off-roading enthusiast. 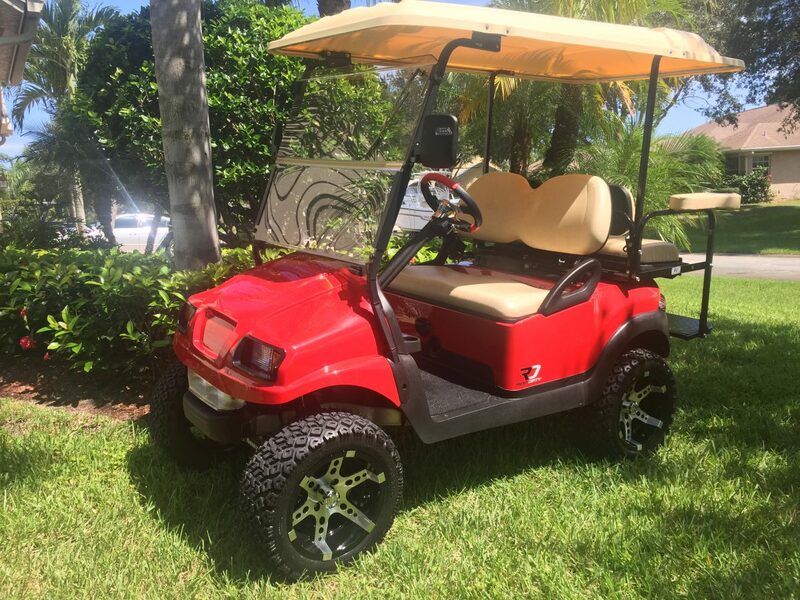 Lifts are ideal for the golf cart owner who wants to lift their cart for casual driving or even just for a tougher appearance. Take it through the woods or drive it on the street – Its perfect for both! 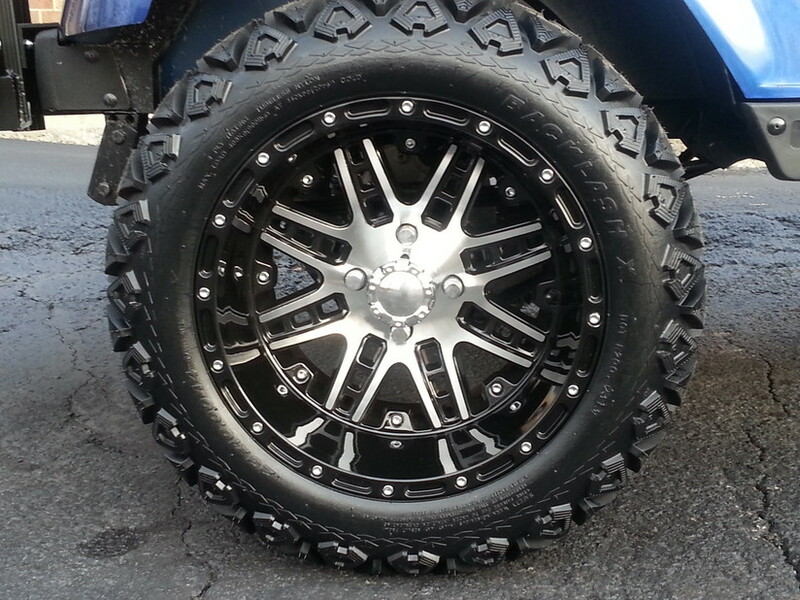 3″, 6″, 8″… Most popular is 6″ which allows for up to 23″ A/T wheel/tire combo. We offer the Highest Quality Golf Cart Tire & Wheel Combos for all makes and models of Golf Carts including Club Car, EZ-GO and Yamaha. Huge selection of custom wheels from 8″ to 15″. Standard height with street tires, Lifted with A/T tires. us to take advantage of our great deals! Change the color or style of your cart with a new body. 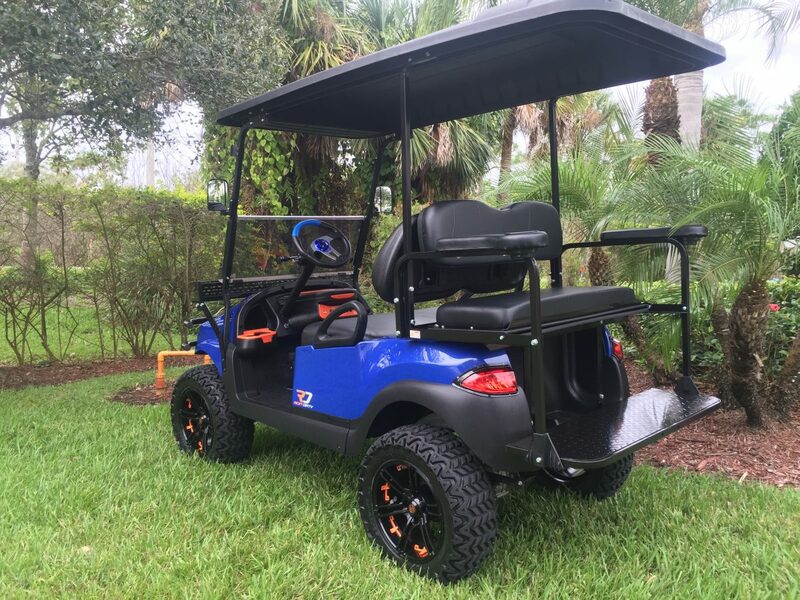 Our line of Golf Cart Body kits for Club Car DS, Club Car Precedent, EZ-GO TXT and Yamaha Drive models offer an affordable alternative to the high cost of repairing and repainting your golf cart body. Extend the top to cover your rear seat passengers. Available in several colors. Custom Dashboards, Steering Wheels, Floor Mats, Windshields, Rear View Mirrors, etc. Change the look and functionality of your cart with high quality accessories for the inside of your cart. Factory Replacement and LED Upgrade, Headlights, Tail Lights, Light Bars, Underbody Lighting, Interior Lighting. 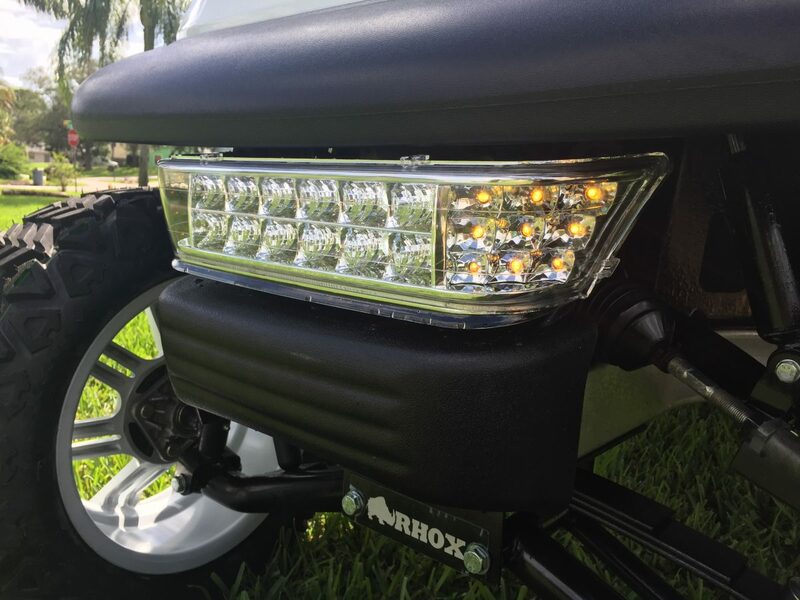 LED Golf Cart lights are brighter and longer lasting than factory lights. LED Lights use a fraction of the power that a traditional halogen bulb would. LIGHT UP YOUR GOLF CART! 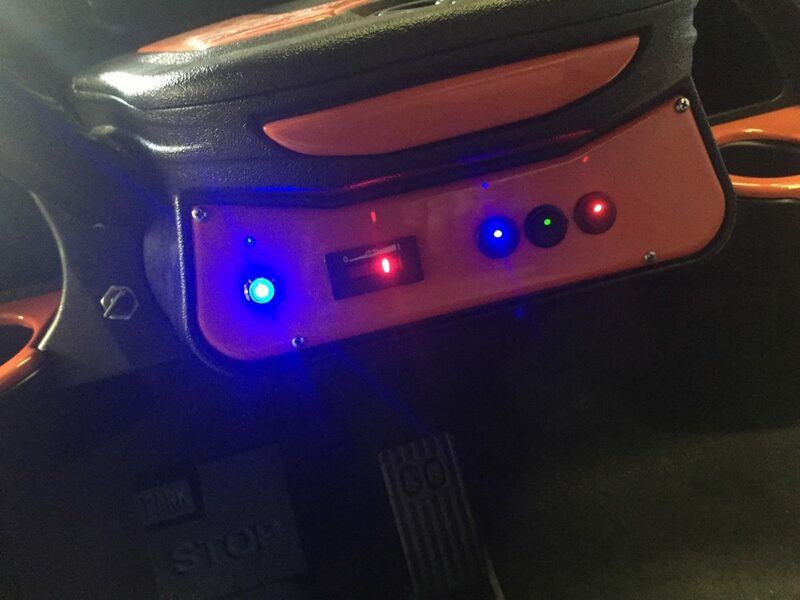 Our Golf Cart LED Light Kits provide excellent lighting. Impressively bright and available in both single-color and multi-color configurations, our sealed, low profile strips are perfect for mounting underneath your golf cart or even around the roof. They also produce a smooth, even glow of light to give it the under glow look. 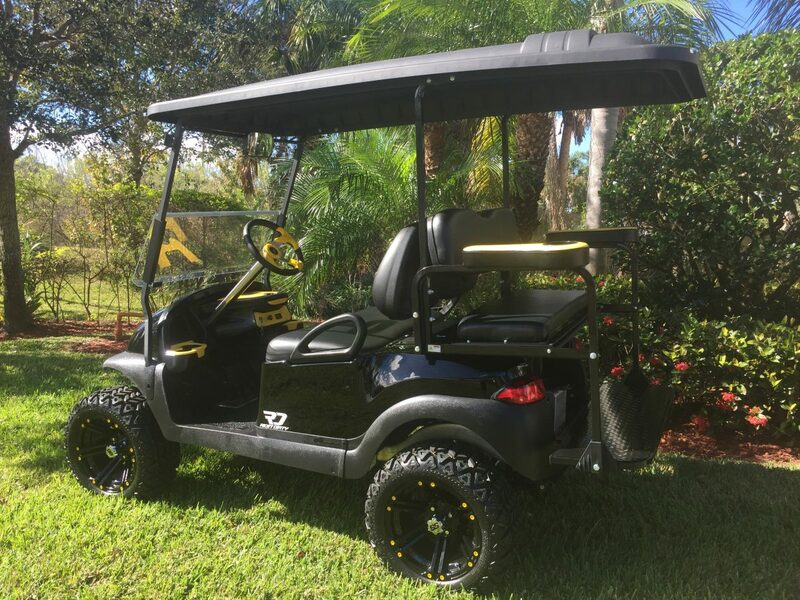 Make your golf cart stand out while cruising the neighborhood, the campgound or the next race weekend. 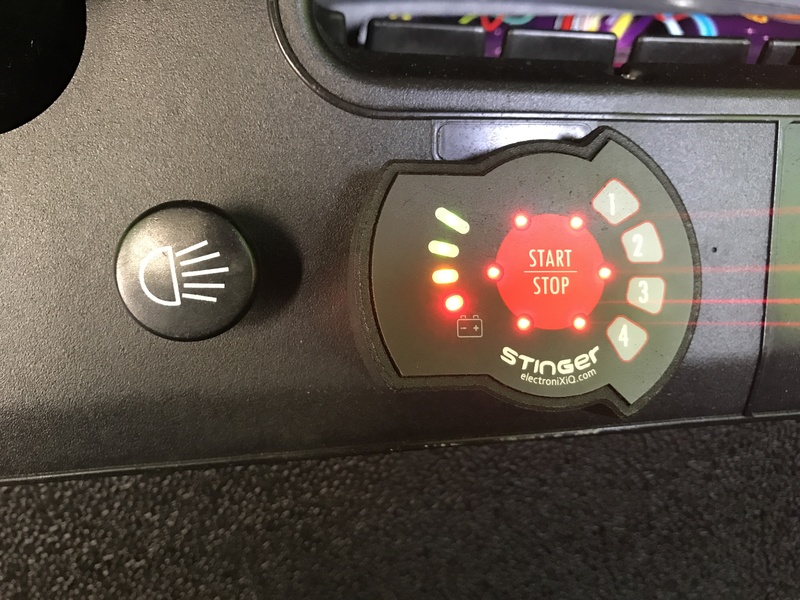 “Get Stung!” The Stinger is a keyless vehicle security, battery managment, activation and engagement system with dynamic mobile platform interactivity. 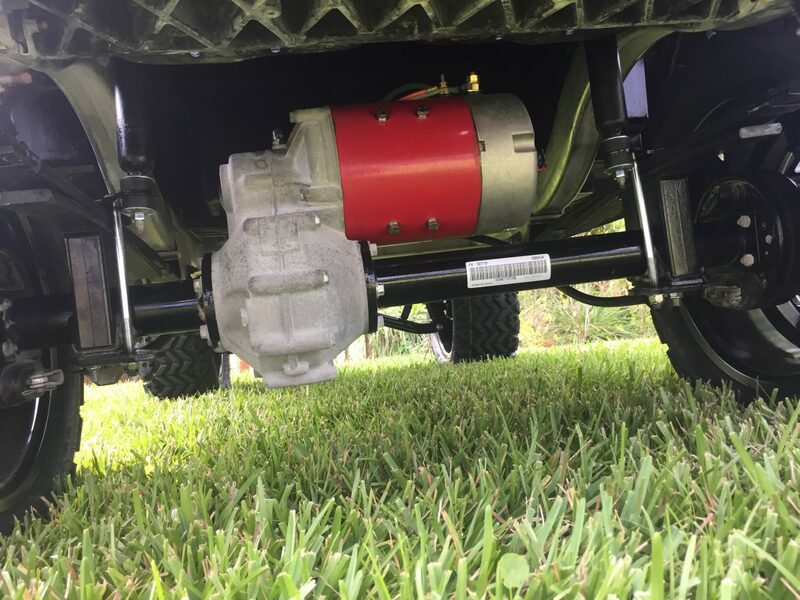 This patented innovation replaces key ignition systems currently in use by golf/utility carts, construction vehicles, ATVs and other similar key activated vehicles. 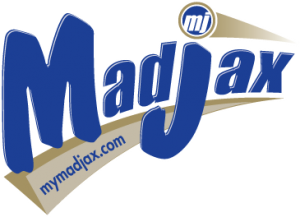 Now you can add a sound track to your day with our Bluetooth Stereo Kits, Golf cart Stereos, Stereo Consoles, MP3 Amplifiers, and Sound System Accessories. Complete your custom look with a new stereo console and have all your music at your fingertips! 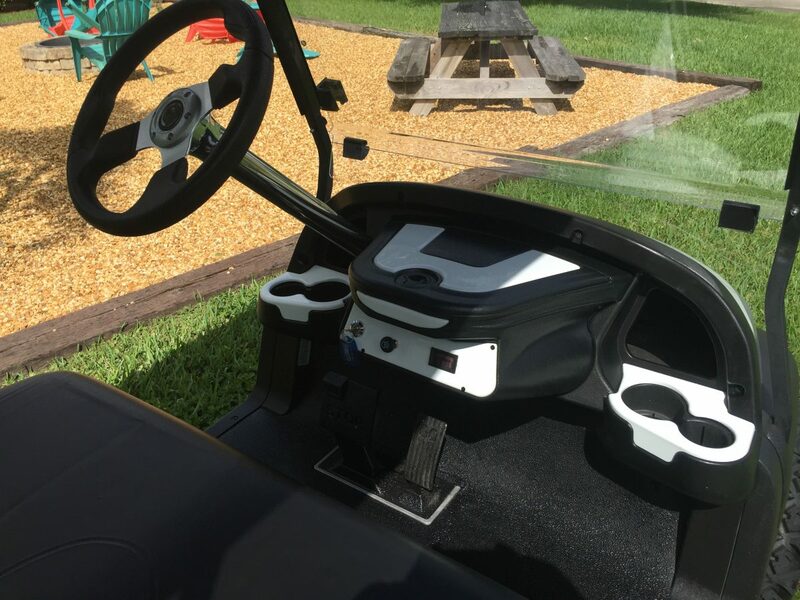 We have the perfect way to add a stereo to your golf cart. Golf carts aren’t just for golf anymore! Street legal golf carts can be affordable as well as environmentally friendly. 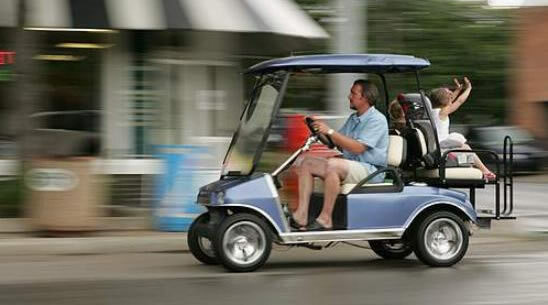 Use your street legal golf cart at the campground, residential communities, down town, or anywhere else with speed limits posted at 35 miles per hour or less. Great for short commutes to work, family outings or just cruising around the neighborhood. 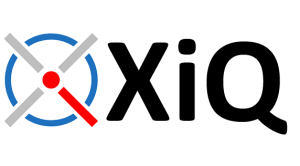 Headlamps, stop lamps, turn signal lamps, tail lamps, reflex reflectors, parking brakes, rearview mirrors, windshields, seat belts, and vehicle identification numbers. 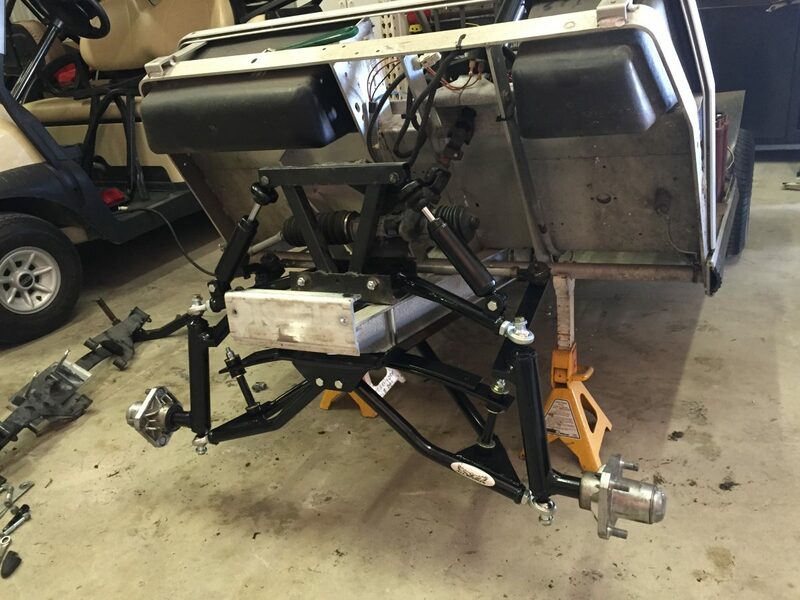 Increasing the golf cart performance depends on properly choosing the system components to improve performance and meet the vehicles expectations. Some “simple changes” may end up a disappointment if other areas of improvement are not considered. Increase power and performance of electric carts, upgrade your speed controller. Standard factory speed controllers are 275 or 300 Amp, high performance upgrade controllers are 400+ Amps. Standard factory motors are 3hp, high performance motors are 7hp+. We will recommend and install the correct components.